Clicking on the link will bring you back to Lunatik.com with a 20% off discount. Make sure that you can see the discount at the top of the website by clearing out your cookies in your browser. Lunatik products are a little more expensive so a 20% discount will definitely help you get some of the best products for iOS devices! Just bought one using the link above and I was surprised the discount is still in effect 6 months later. Thanks Aaron! 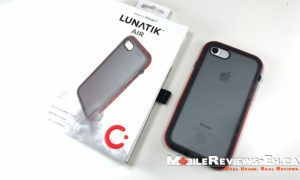 Can you help me order a Lunatik Taktik 360 for my iphone 6. I do not want to do the idiegogo thing. I tried that 4 months ago and that was a total pain. I would simply like to order it straight away. Thanks for your help. I think they’re still trying to finish the case. I’m still waiting for the Indigogo case that I ordered. I bought this case about a month ago….was driving home from marmora to havelock ..about 18 kms . I placed the phone on the hood of my car..forgot it was their, on the way home I heard a thump and seen a white flash… never paid no attention to this. when I got home I realized I had no phone, called my parents to see if I forgot it their ” nope not their”…then I realized awww that was what flew off my car. You could try just asking them for another bezel. I broke mine a couple of years ago and they sent me a new one.